We would like to share with you some of the happy endings from some of the many 1000s of animals that we have rehomed over the years. 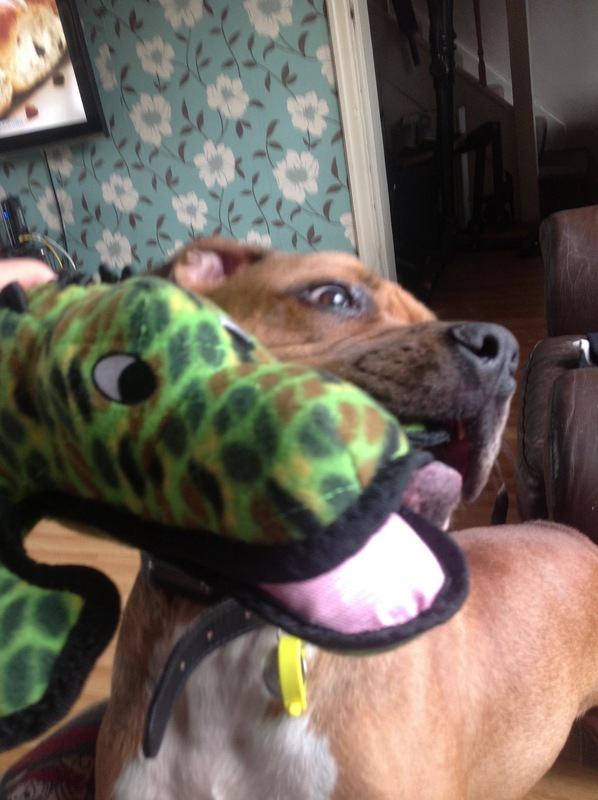 It's always lovely to hear good news and see photos of pets settled with their new families. after losing her beloved Shih Tzu Georgie in March 2013 after fifteen years together. he is such a beautiful dog, with such a lovely temperament. we promised we would get him well, with plenty of care, love and affection, and Alan was keen to see a photo of him in better health. All the best for 2014 keep up the good work! Happy Christmas from Max & Jack! Hi , Just thought I would send you some pictures of the Somerville clan who have all come from your good selves over the years. DB is doing just fine. She is so affectionate. I am looking forward to letting her go outside as she keeps looking wistfully out of the windows and conservatory. I adopted Cassie and Kay from you two weeks ago!! 'Old girls with charm'they have been called by all that meet them. There is no doubt puppy's come with charm and cheekiness but rescued dogs come with this and more they have a wiseness about them that can't be matched, a complete desire to be part of the family. They have brought not only me and my partner joy but also my nephew, who was terrified of dogs, loves them as they are so calm and seem to know that he is a little scared. Thank u animals in need for looking after my girls and helping others find forever homes. One thing I would like to say to anyone thinking of getting a puppy is to please have a browse at the rescues I guarantee the dog for you is waiting there somewhere for u to give them a home. POPPY HAD JUST ENJOYED A LOVELY WALK WITH HER OWNERS, THEN HAD TIME IN THE AFTERNOON FOR A CUDDLE WITH TIGSY THE CAT. We adopted Digby from you in mid December and we thought we would give you an update on how he is doing, he has settled in so well with the family so well and he always gets spoilt so much. He still likes to kick off at times and go on a wild one but he's getting a lot better though and he loves his comfort as you can see by some of the photos I have attached from the photos below, he was truly the best Christmas present we ever got. 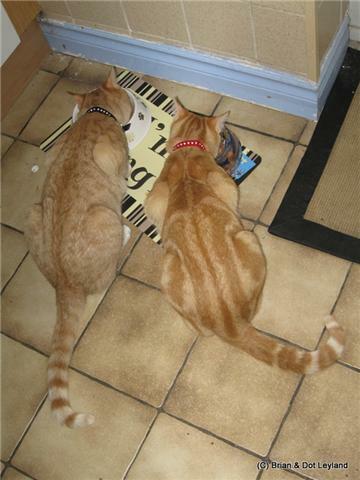 Timmy & Tommy were 2 very timid kittens that came to our Sanctuary in January 2013 after being found in a garden. After just a few weeks with us they found a wonderful home with the Pope family. 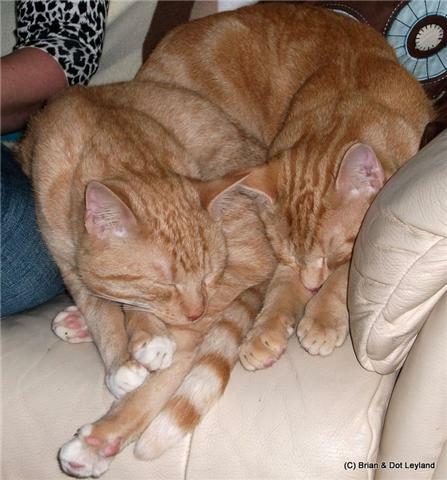 Mr Pope said - Timmy and Tommy - now officially Henry and Billy are doing well. They are eating well and getting more confident each day. Sorry it's taken so long to write but I've been taking time getting to know my new family. I've settled in really well and have been spoiled rotten with treats and toys and lots of love. I have two friends who live next door - Aslan and Caspian - and I've justb started going out to play on the back field with them. I sometimes go to play in their house too! I do miss you all but I'm very happy here. Maybe I'll come for a little holiday some time. Just a quick note to let you know CHLOE our beautiful Shih Zzu has settled in very well and has been meeting our family and friends. She is a lovely little girl who is enjoying her long walks and all her new toys. I'm Tom, who has had Chico (Chicky! 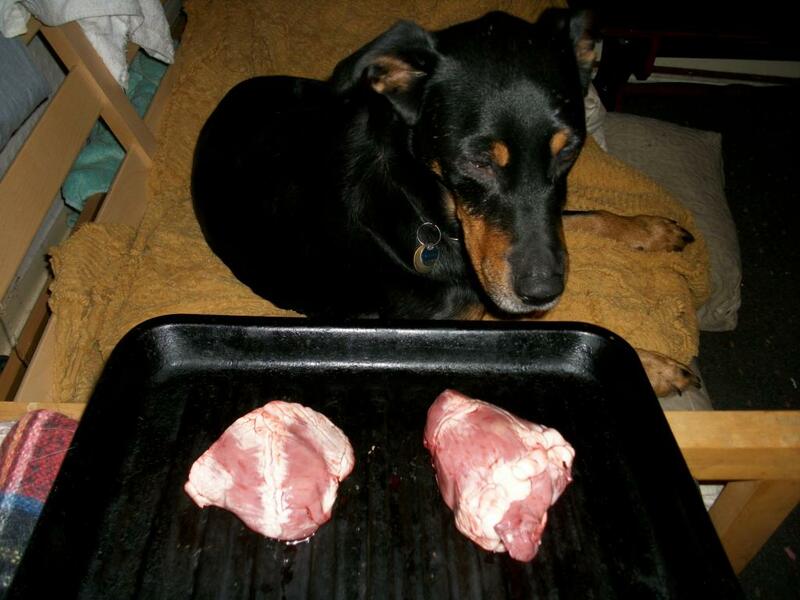 ), the cross doberman something, for a few years now. First an update after some time that he is still doing fine! Here's Barney with our cat Trigger all settled in. He's doing really well and still hasn't stopped purring! 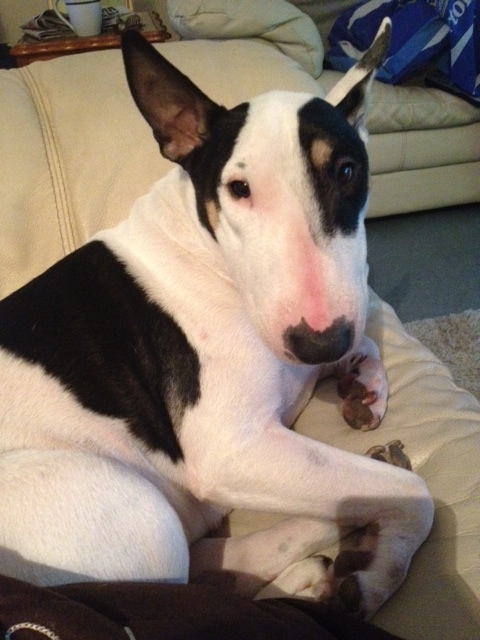 Hi from Mr Phillips who got Patch last Thursday. Some pics showing a small family group on Sat for my daughters birthday, were Patch was admired and spoilt by everyone !!!!! Since arriving he hasnt put a paw wrong and we feel hes been here forever. 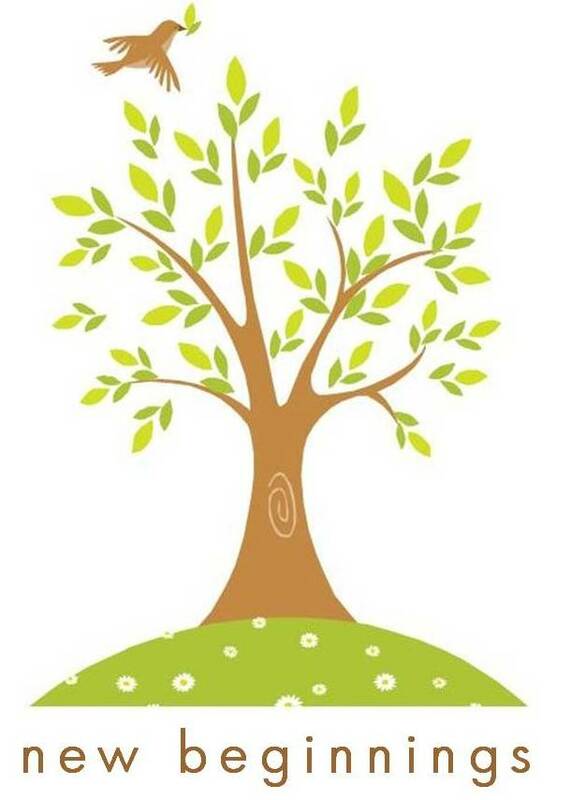 My mother particularly who is in her eighties and with poor mobility has improved remarkably with him around and he seems equally fond of her ! 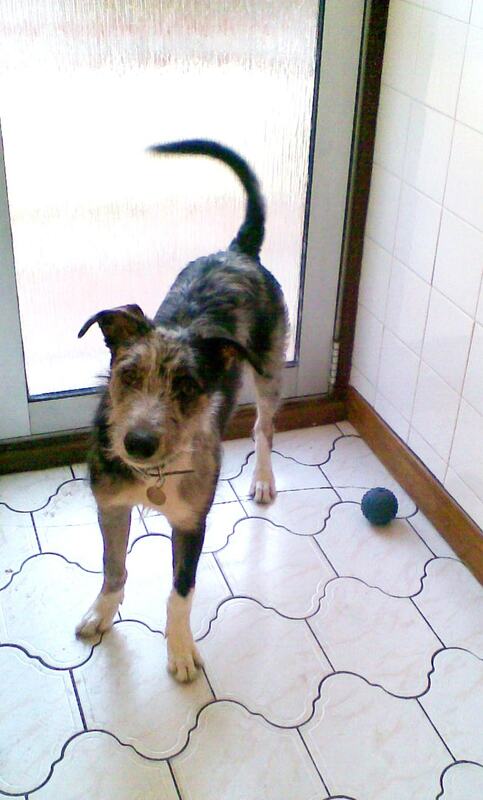 We all love him and he is getting ongoing socialisation with resident cat ,,,,,,,,,,,,,,,slow but steady . 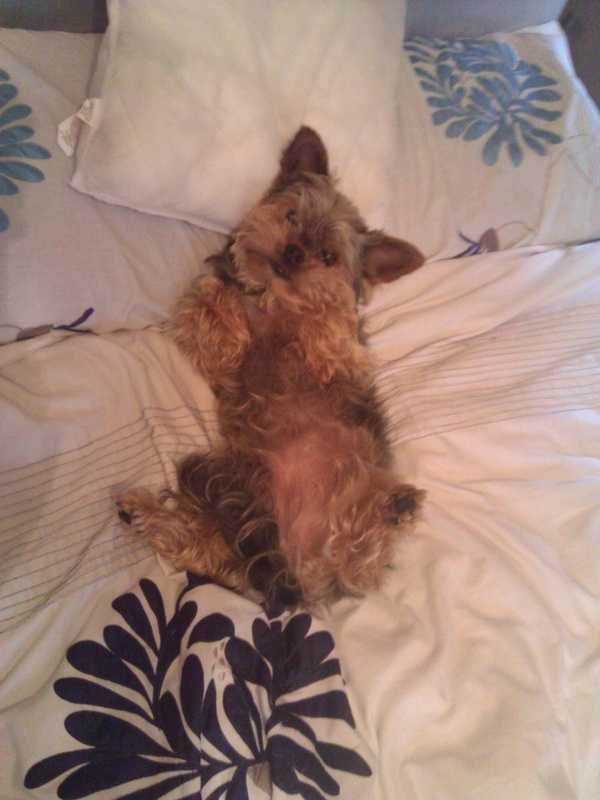 I thought you might like to see a couple of pictures of Buster the Lhasa Apso we got off you 2 years ago this month! As you can see he has settled in very well and loves nothing more than playing with his toys. 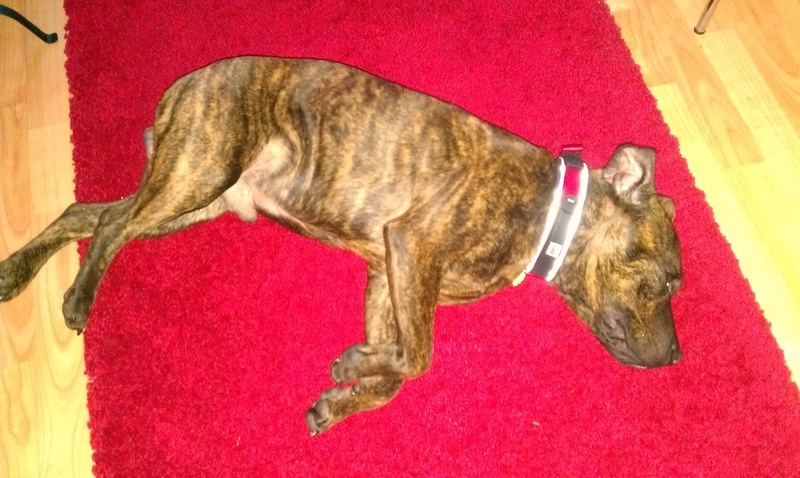 He is very lively but has really calmed down since we got him and I really couldnt imagine us being without him. 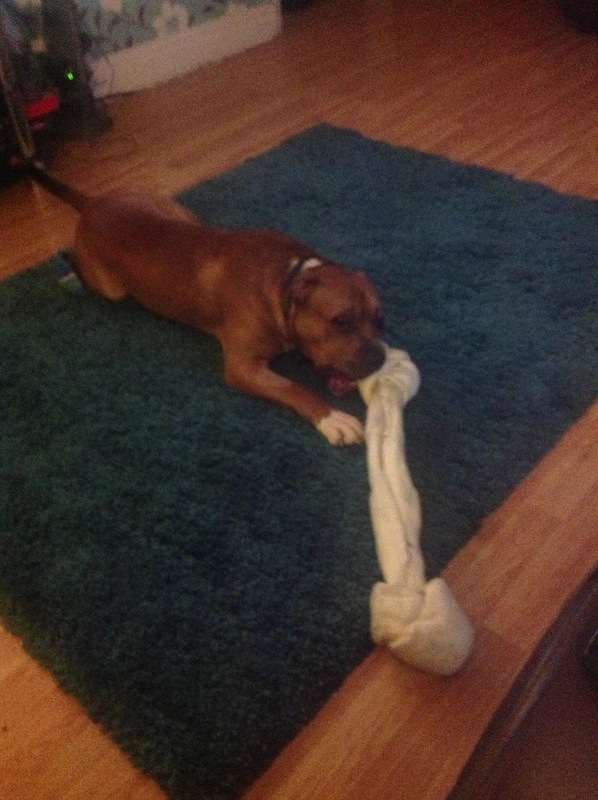 Thank you very much for rehoming Buster with us!! 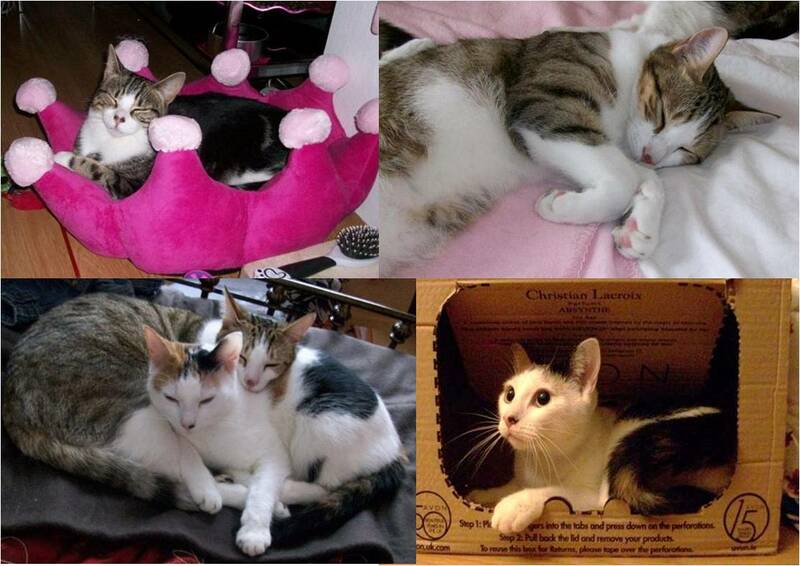 BUZZ (brother to Skittle & Lola who are still waiting for homes) and CHARLIE (now called Tabley) were recently homed to Les French and Family. They have settled in quite nicely although they still have a bit of work to do with Buzz, but he is slowly coming around. 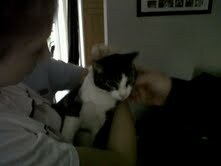 Tabley is the most affectionate cat Les has ever known, WONDERFUL!!! DIAMOND came to us as a very thin stray. Not long after, she surprised us and the vets by giving birth to 3 kittens. 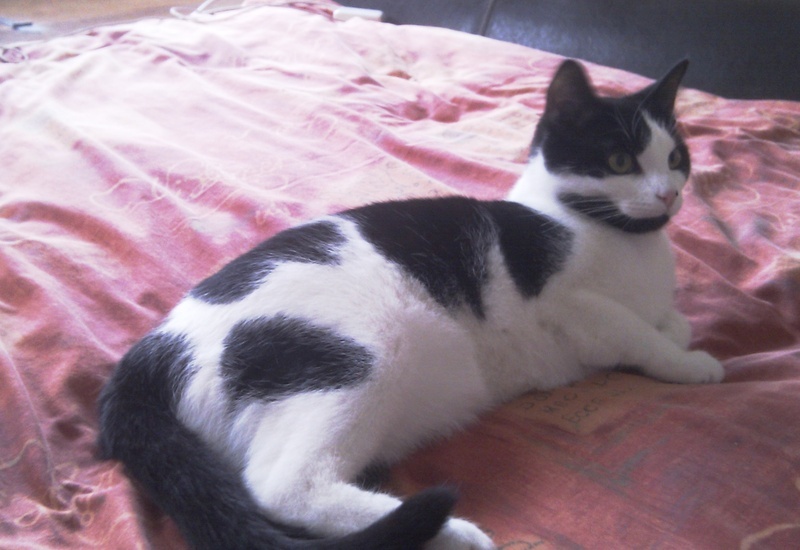 Just at the right time Joanne Bonner enquired at the Sanctuary about fostering. So Diamond and her babies went home with Joanne for just a few weeks until they were old enough (8 weeks) to return to us for rehoming. Well that was the plan. Joanne couldn't bear to be parted with them, so decided to adopt them all. So DIAMOND AND HER BABIES - SMUDGELINA, PUNCHARELLA & TOMMY MUNCHKINS stayed. Pixie (was Bertha) was adopted a few years ago by Lynda and family. She is now a well loved family cat. 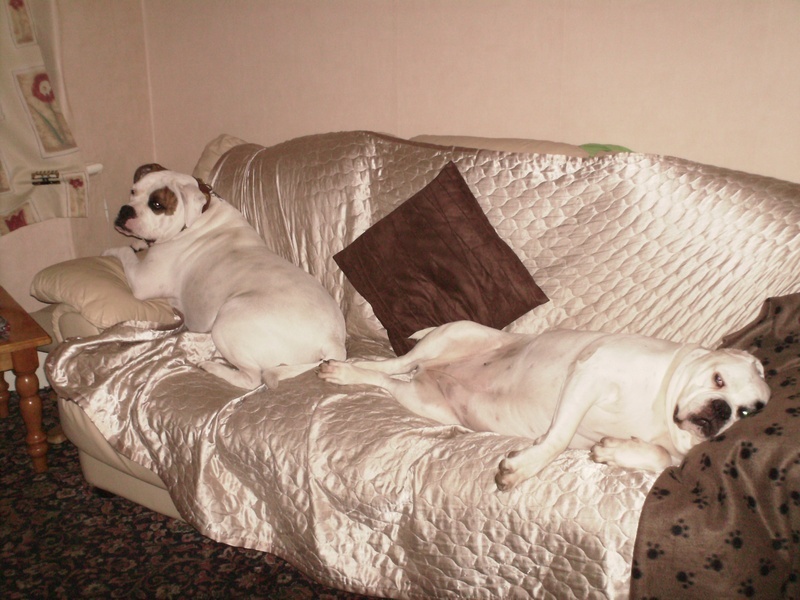 Busby & Max have now settled in to their new home with Brian & Dot. 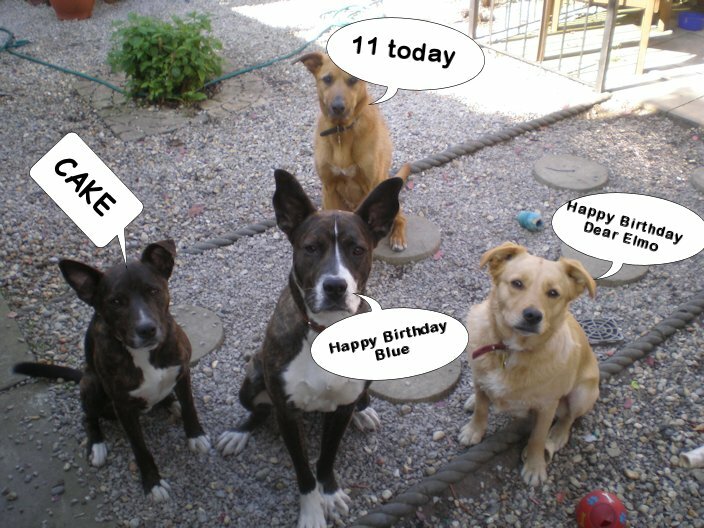 UPDATE 2011 - It's now been a year in their home and the boys are still having fun. 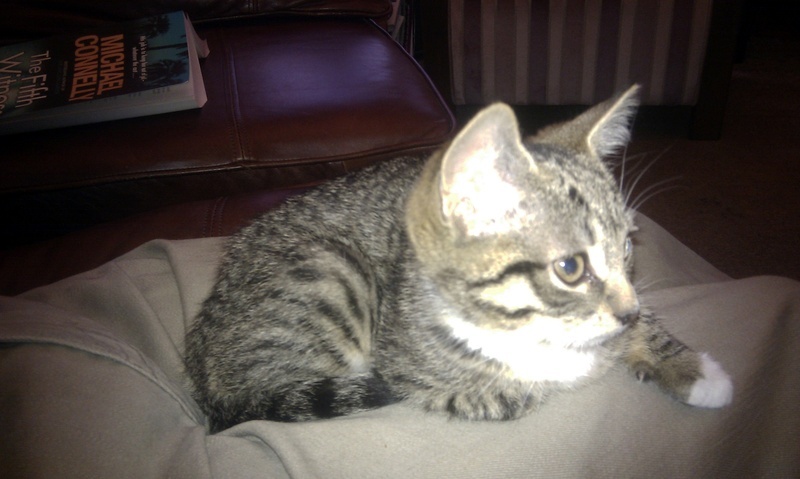 EMAIL FROM HER NEW OWNERS - Thought you may like to see these recent photos of the kitten we adopted from you on 6/1/2011. 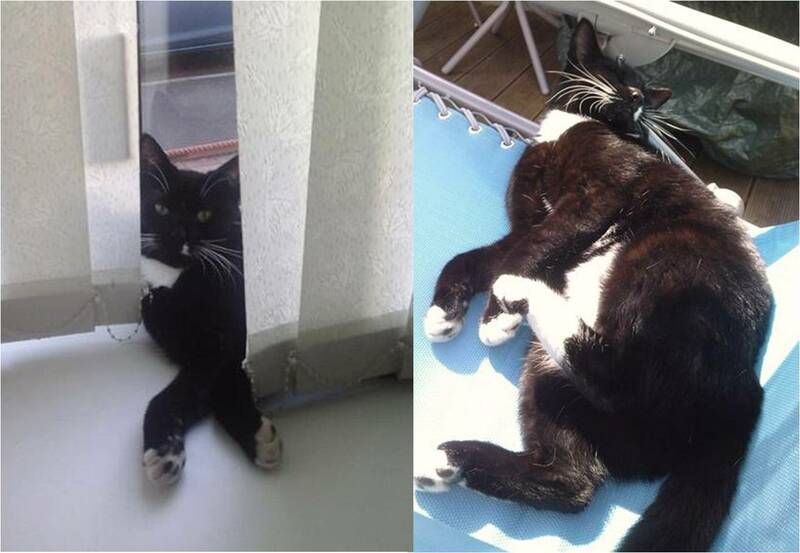 We're delighted with our new family member, and our other cat Tom (also seen in one of the photos), now gets along famously with her, we often find the two of them curled up together on the kids beds !! I've been in my new home for a week now so thought I'd write and tell you how it's going. My new family have kept my name as Louis but I don't really listen to them when they call. I've found loads of new hiding places and love exploring behind the couch, under the stairs and under the beds! I've got a lovely soft bed and blanket, a great scratch post that I love and some great toys but I prefer playing with the tv wires or blinds they are so much fun. 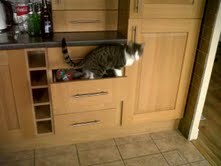 I jump on the table but get told to get down and the family don't let me eat their tea - how rude!!!! But they did give me some chicken on Sunday it was lovely!!! The house is so big compared to where Simon and I where. I miss Simon - how is he? Has he found a family yet? I have a mad half hr each day and night where I chase my tail and run mad around the house jumping on the furniture. My family just laugh at me they don't see the things I'm chasing for them! The little girl gives me cuddles and kisses each day and then goes out but always comes back and plays with me. I sit on the mums knee most of the time being stroked and cuddled she loves me and talks to me all the time. I sometimes answer with a little miaow if I can be bothered. My favourite toy is the tunnel the little girl bought me it has balls at one end and I run through it trying to get them off. They haven't yet but I'll keep trying. I love watching football as well, but the man doesn't like it when I try to get the ball. He puts me on the floor and then strokes me and says he's sorry - he should leave me there and then he wouldn't have to say sorry!! I hope you are all well and my friends there are over their flu and have been seeing lots of families who they can choose to go live with. I really miss you all but have settled in well here and they all love me even the visitors they have, so I won't be coming back but I'll send you plenty of updates and pictures of me. Please take care of everyone. 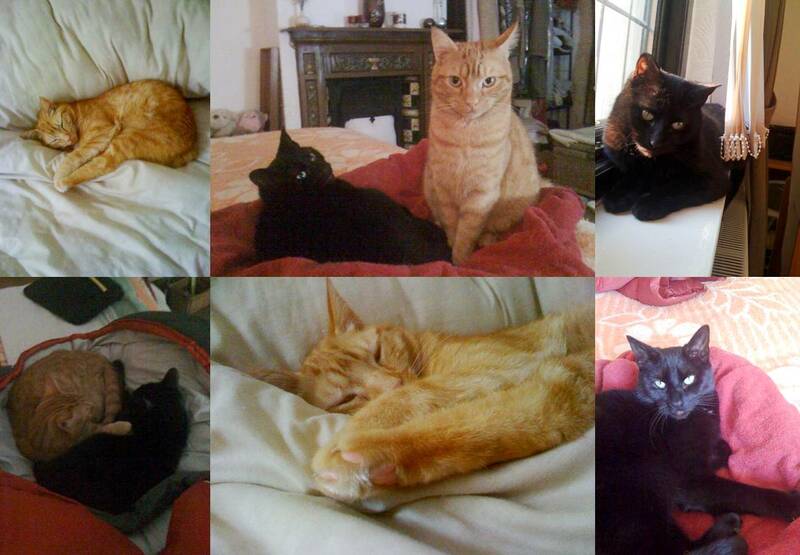 Please find enclosed pictures of our lovely cats that we adopted from yourselves. Arthur(wasNorman)the lovely big bruiser of a cat but the gentlest of boys,and Rosie who was just a 9 week old kitten who is also the most affectionate cat that you could wish for.Both have settled down lovely ,play well together and provide lovely additions to our home.We would recommend the sanctuary and especially Shirley who was always honest about the cats and showed she cared for them .she "sold them" to us in the the selling of their lovely natures. This is Tigger. 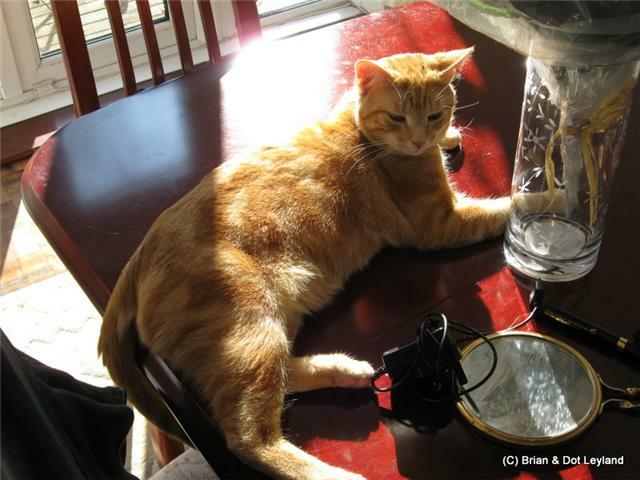 He is one of a few Animals In Need's cats that have gone to live with Debbie and her husband. 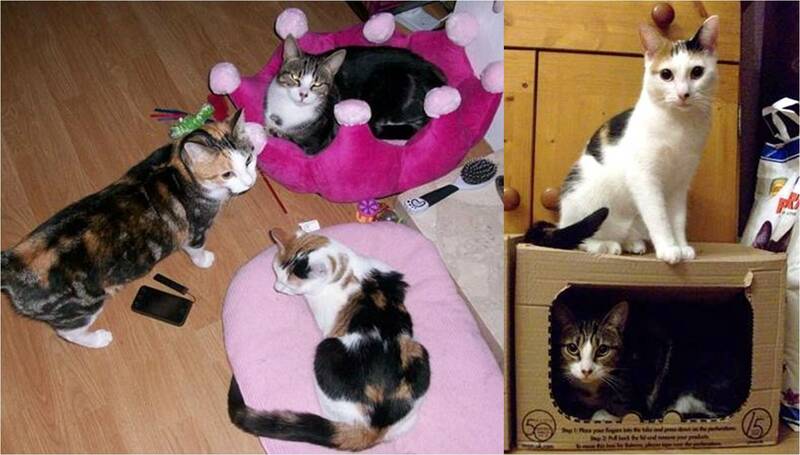 It is the most, wonderful, caring home a cat could ever wish for. We will upload more photos soon. I have been to all sorts of places - along the canal, in the car and to the park(which is my fave because everyone says hello). I have also met all of Ian's grankids (they are a handful! Tired me out!) and my cousin Simba, a miniture pomeranian. We get on great and he is coming to stay next week. Ness says that I need to have an op but we've decided to leave it till after Simba has been so that I can play and have fun. There are some pics of me relaxing and settling in which I will send to you in due course. Will be up to visit when I can. I have asked Ness to come and take some of my friends for a walk as we have such great fun....Give her a call to arrange it if needed. Thanks for looking after me and finding the right home for me. 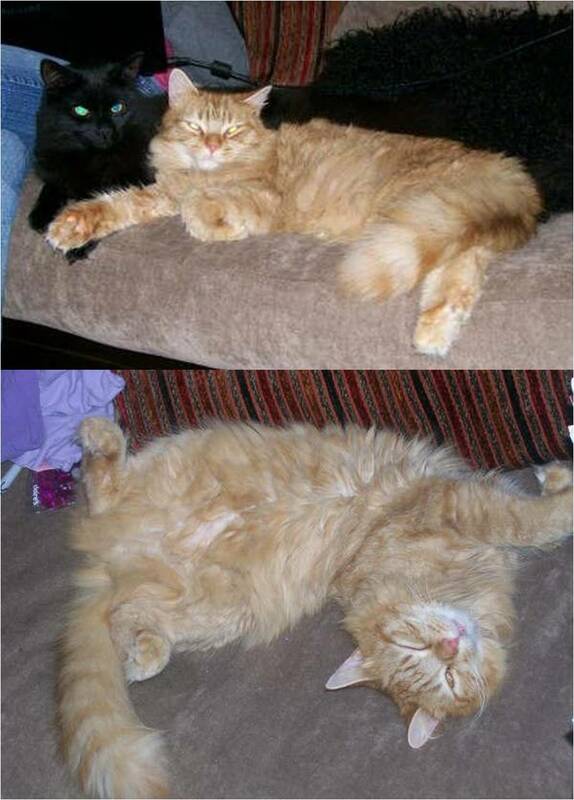 I just wanted to send you some pictures of our cats 'Tigger' whom we adopted in April 2011 & 'Wendy' who we adopted last December. Both have settled into our home absolutely perfectly & they have become great friends. They play together, sleep together & are pretty much inseparable. 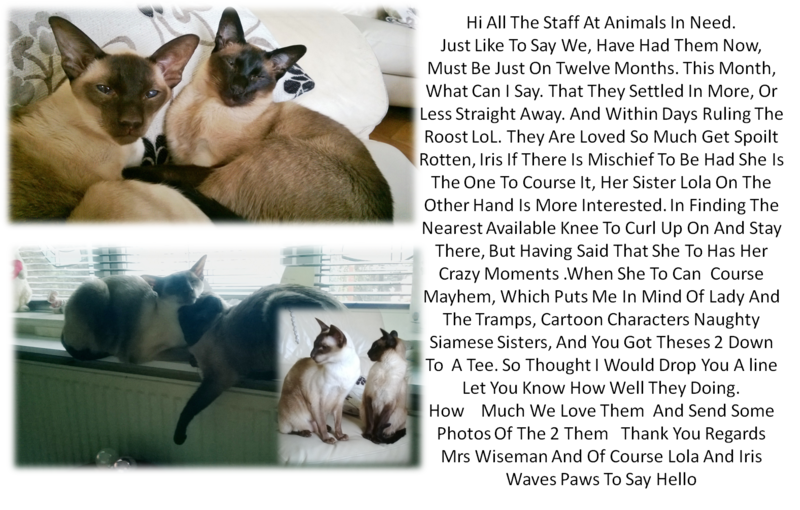 We love them both so much, they are so affectionate & have made perfect pets for us. It's great that they get on so well with each other. 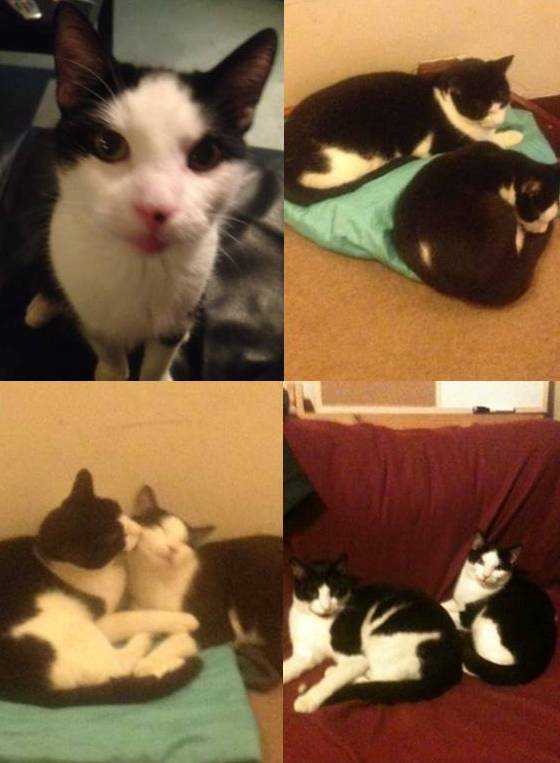 I would be very grateful if you could show Shirley these pictures as she gave us some very good information on both cats & their personalities & we think that is one of the reasons we have now got 2 cats who get on so well together. very well despite stealing a leg of roast lamb from the dining room table a couple of Sundays ago! We have named him Eddie, and he is fantastic, he is a little star and as you will see from the pics he likes to help with homework !! Thank you very much for our lovely little mate. Just to let you know that Teegan has very quickly became one of the family and has settled in comfortably, even though she has only been here for 11 days! She is the most pleasant and placid dog who loves to lay down to have her belly tickled and seems relaxed and calm in the house. She also loves to go out for long walks regularly and is helping my family and I get a little bit more exercise. 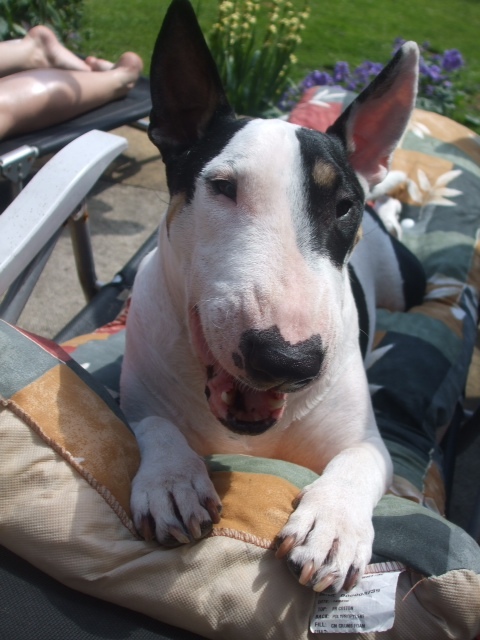 Hi Animals In Need, we got Tikka an English Bull Terrier off you in January 2009. When she came to us she was under weight but from day one she was part of our family, now she is treated like the princess she should of been treated like to start with. She loves going on walks and playing with all her toys we have got her, our family wouldn't be right without her were so glad we've got her. Thank you for two wonderful dogs, getting along fine both are very happy and spend all day playing with each other, unless the sun comes out and then its a bit of sunbathing time, we still have the training cage and will return it soon as Barney is still in the chewing stage when left for short periods. I've attached the latest photo of Charley just after she has come in from the garden. She's still mad as ever, is a bit timid around dogs she doesn't know but is still getting on with our German Shepherd, Rudey. She still hasn't got the hang of putting her toys back in the toy box when she has finished with them (as you can see from the ball in the picture) but I am watching out for them more now - I don't want another broken foot. She is still a bit boisterous with the cats. Gambit and Jags (the tortie we got from you last year) cope ok and just hit her when she is too much. 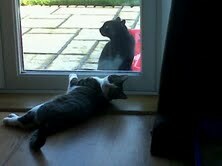 Purdey and Cleo (the black kitten we got from you in 2004) just keep out of her way as much as possible. She doesn't mean any of the cats any harm - she just wants to play like she does with Rudey and doesn't understand that they are so much smaller. 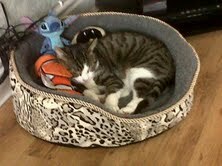 We quite often find her in perfect harmony on one of the beds with Gambit. Will keep you informed of her progress. 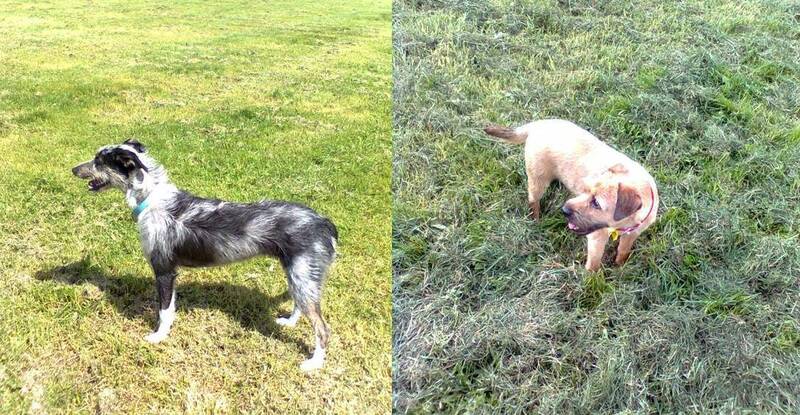 I've attached the most recent photos of our dog Charley and mum's little dog Chloe on one of their walks. We got Charley as a pup last July and mum (Joan Flynn) got Chloe (was Boo) from you earlier this year after her little dog Scottie (was Bam Bam) died. We couldn't manage to get them both to stay still long enough to get them both in the same picture. In her picture, Chloe hasn't long had a professional shampoo and hair cut so Paula may not recognise her immediately. 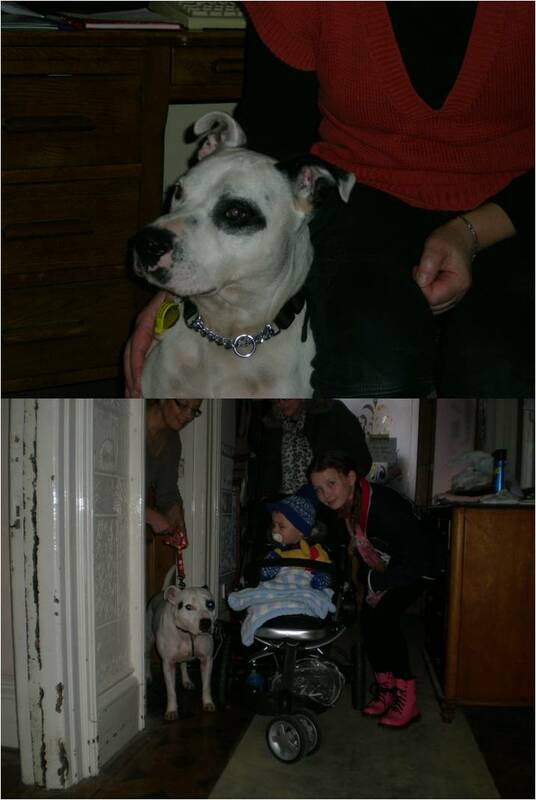 She was introduced to Charley first as we were told she had been bullied by the other family dog in her previous home. Charley is the most timid of all the family dogs when she is around dogs she is not familiar with. 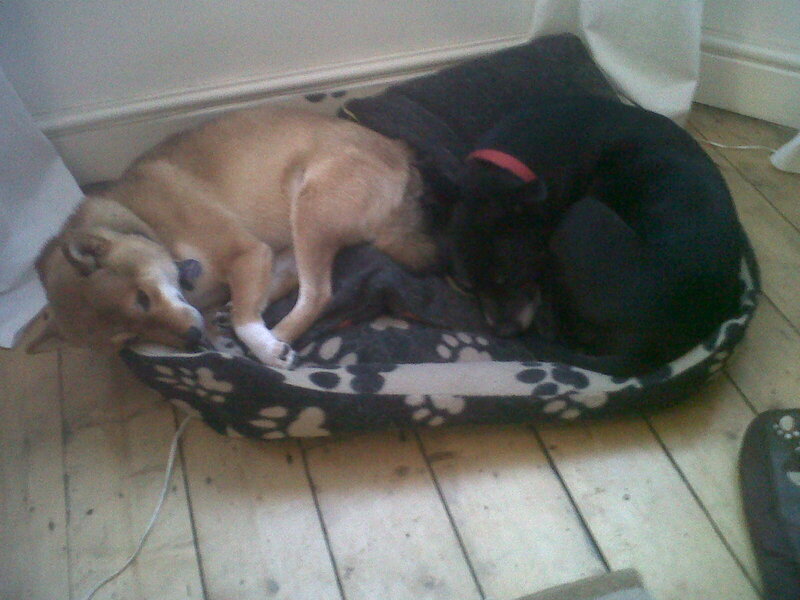 We needn't have worried - they get on like a house on fire and Chloe is certainly not frightened of her. She gets very excited when she sees us come in with Charley as she associates us and her with "walkies". We've introduced her to my nephew's dog, Scooby (a collie), and she is ok with him but nothing like her and Charley. They were real pests when we went down to mum's to watch the cup final - they didn't stop playing the who;e time we were there. Only big Rudey to go now, but being a large german shepherd we may wait a little longer before introducing him to her as he may look a little daunting to her. Mum's little tortie, Mitzie (was Jasmine at AIN nearly 2 years ago), is now coping better with her and torments her. She was used to ruling the roost with Scottie and has taken a bit of time to get used to this little live wire. Charley is still digging up the garden and stealing any food she can reach on the kitchen worktops or if I'm a bit slow closing the fridge door. She likes delving into my pockets to see if she can find any paper hankies - the name lurcher apparently comes from an ancient word for thief and, in her case, it's very apt. 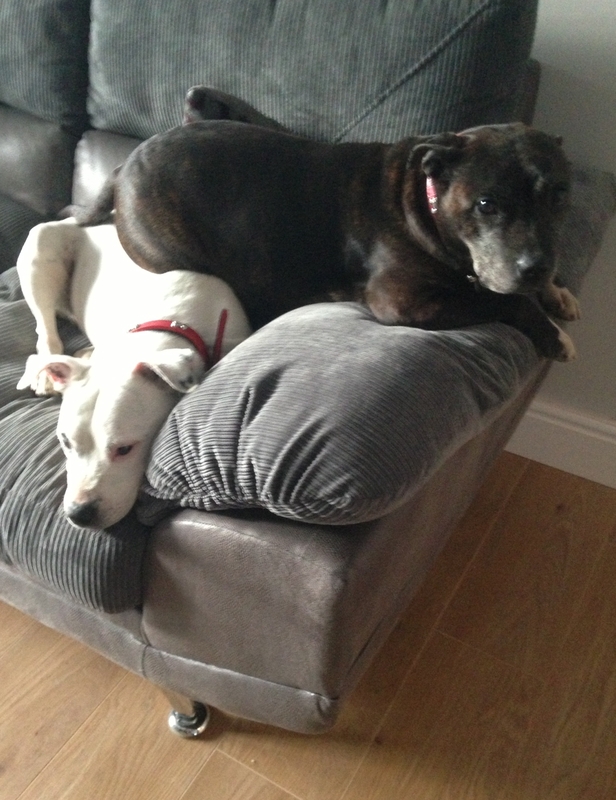 She is a very affectionate dog though and still gets on very well with Rudey. Will continue to keep you updated re their progress. OSCAR CAME TO US AS A 8 WEEK OLD PUP CHRISTMAS 2010. 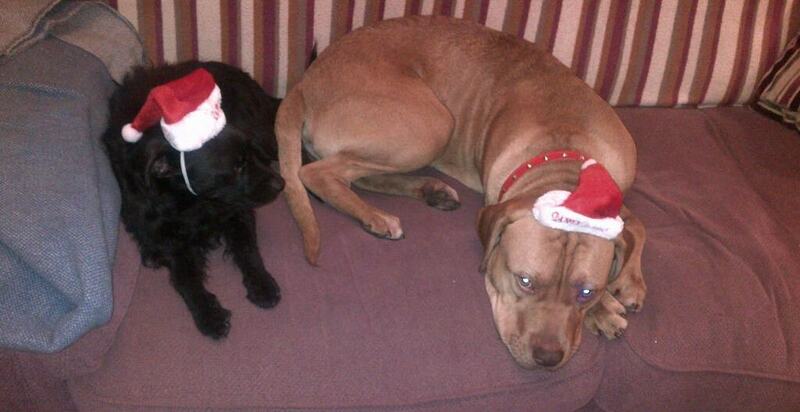 THE HILLON FAMILY KINDLY FOSTERED HIME OVER CHRISTMAS AND INSTANTLY FELL IN LOVE. Settling into their new home after a long stay at the Sanctuary. They have stolen the hearts of their new owners Lee & Clare and their other pets Mina, Salus, Samael, Solomon, Lumina, Willow, Moxie, Morticia, Digby, Phoebe and Libby. Thank you to Lee and Clare for giving them such a loving, caring home. Just a quick update to let you know that Jessica is settling in well. She's really starting to come out her shell. 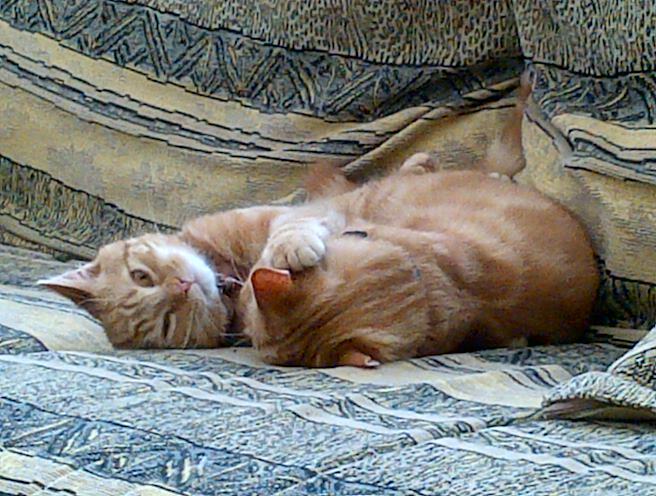 She is getting on well with our other two cats and has even started to play with one which is a joy to see. 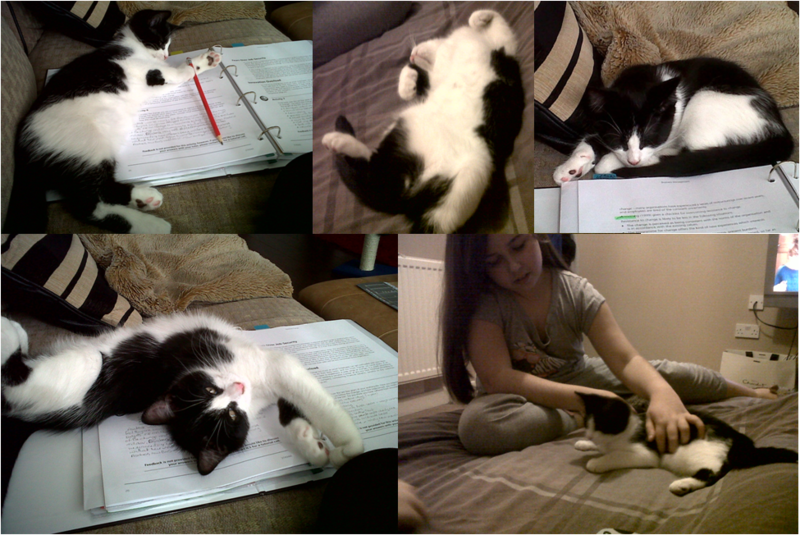 She's a beautiful cat and already an irreplaceable member of the family. KIA - a beautiful American Bull Dog. She was adopted 3 years ago and became a member of Roberts family since day one. Also seen her with her best friend Valcore. 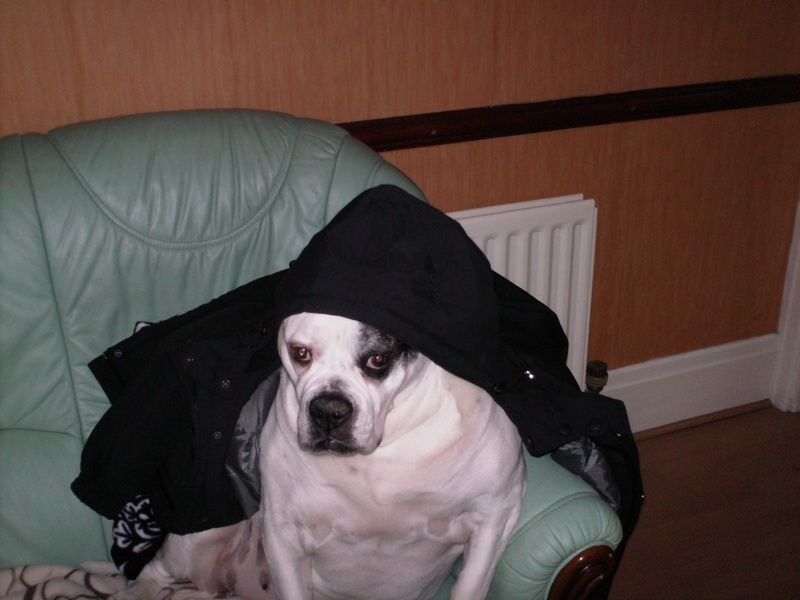 RAFA - adopted in Jan 2007 by Gill Horlick. He is loved by all his family. LIMA - a beautiful Belgian Shephard. 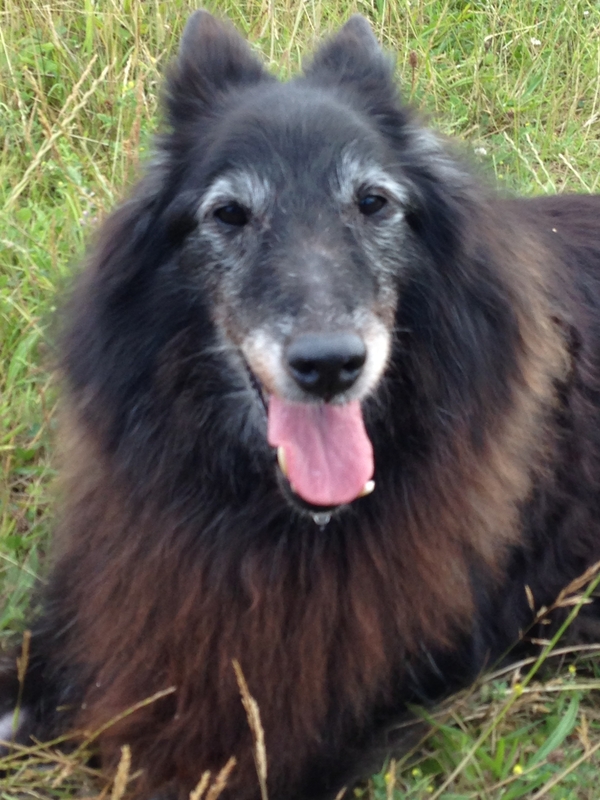 Adopted many years ago and is still remembered by Caroline and Cathy at the Sanctuary. 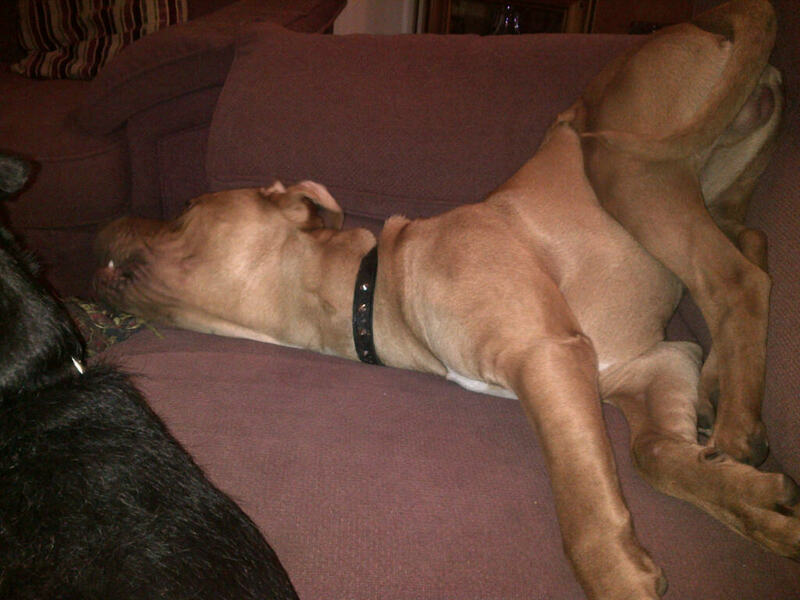 REX - handsome poundie now enjoying a new life with Kathrine & Gina and pets Yuki the dog and the cats. 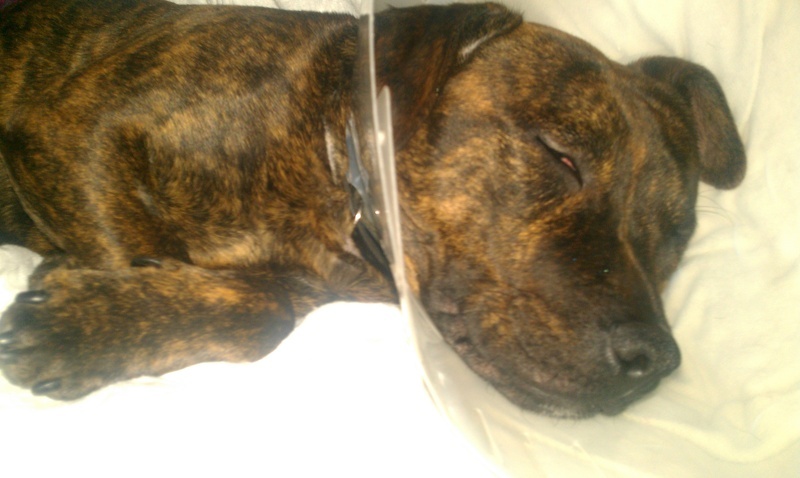 Life could have been so different for this fella, but thankfully he is one of the many whose lives we save. 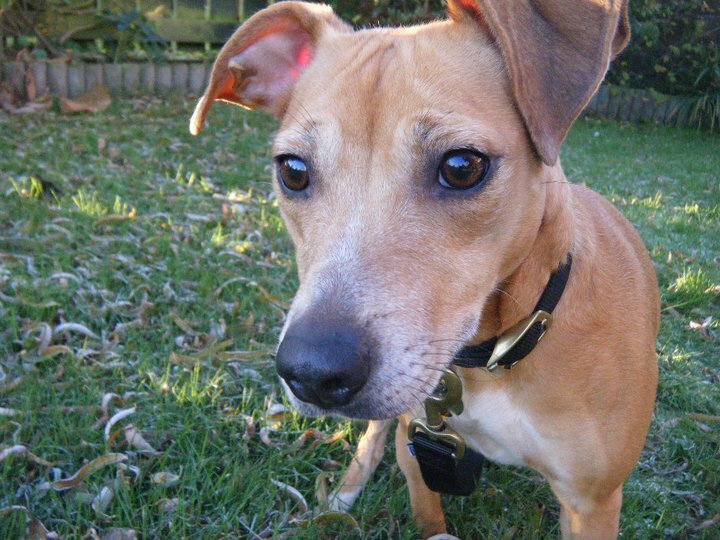 LULU - Rescued from a dog pound and from being destroyed. 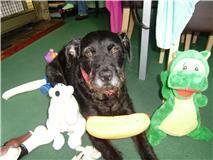 She went straight into boarding kennels then she came into the Sanctuary. 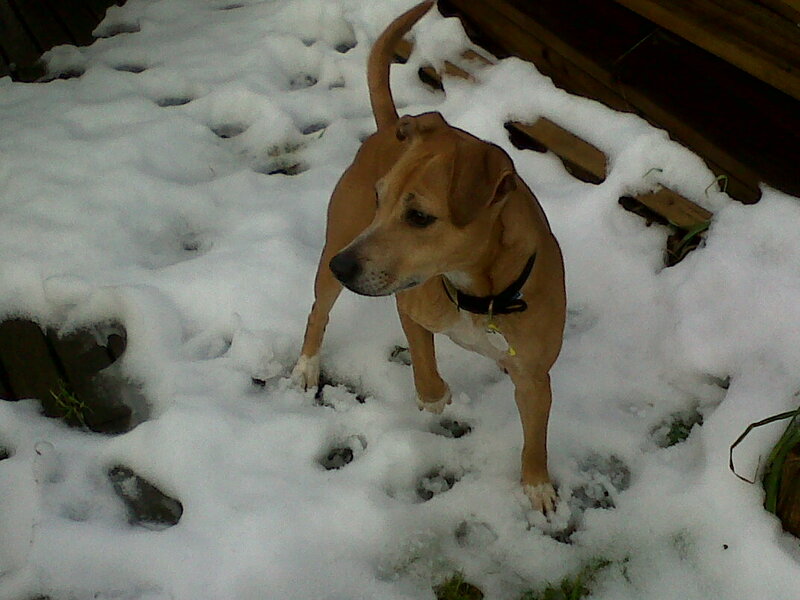 Lulu is a lovely, friendly girl and is now enjoying her new life with owner Mrs Kasper and her cats. MOLLIE (Was called Jilly) was another pound doggie. EMAIL FROM HER VERY HAPPY NEW OWNERS - Just writing to update you on how Jilly (now Mollie) is getting on since she came to live with us on the 3rd April. You'll be happy to know she is doing fantastic, she is such a great dog & we love her so very much. We walk her every morning (which she loves) and absolutley HAS to have at least an hour every evening running after her ball, she is very, very spoiled. Attached are some photos so you can see how great she looks, we're so glad we found Mollie @ Animals in Need - thank you for caring for her until we came along. SANDY - Enjoying her new home. Please find a picture of Purdy, on her favourite walk at the beach. We take her weekly on the family walk with 3 other dogs, and children. She loves running up and down the sand dunes, running into the sea, fetching balls and every stick that she comes across. She is a fantastic example of a perfect family pet who enjoys the company of humans, cats, dogs, guinea pigs and most of all children. We are so pleased to have her in our lives. Please dont let the dreadfully undeserved reputation of Staffordshire Bull Terriers prejudice you in your opinions about these fantastic breeds. Its mainly down to the owners!!!!!!!!!!! I thought I would let you know how Cassie (previously called Molly) is doing. She was adopted by my mum over the Summer and is now a much loved member of the family and absolutely crackers!! 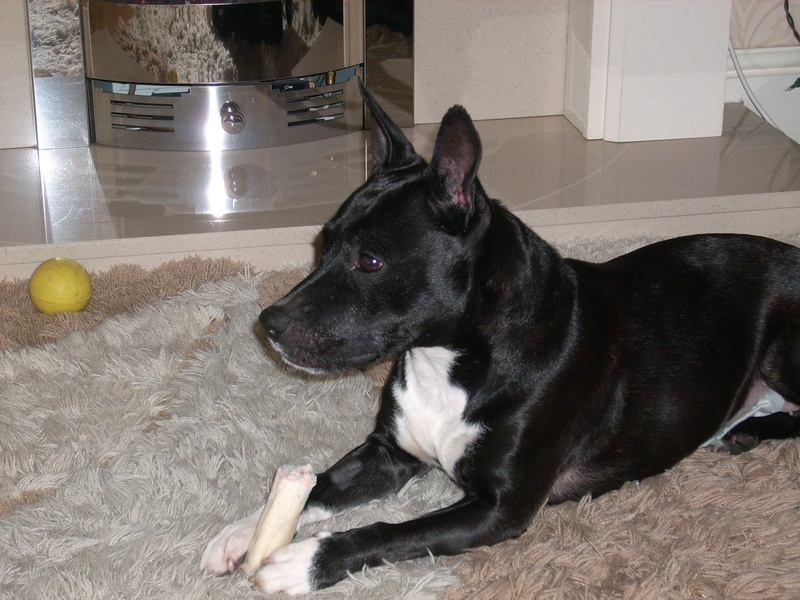 She is in excellent condition with a really glossy black coat. She has settled in with mums 2 cats, who frequently share her bed now, whether she likes it or not! Cassie loves her walks so much and is happiest when she is let off the lead for a good run anywhere, she is doing well with her training and sits on command and is good at coming back when called. 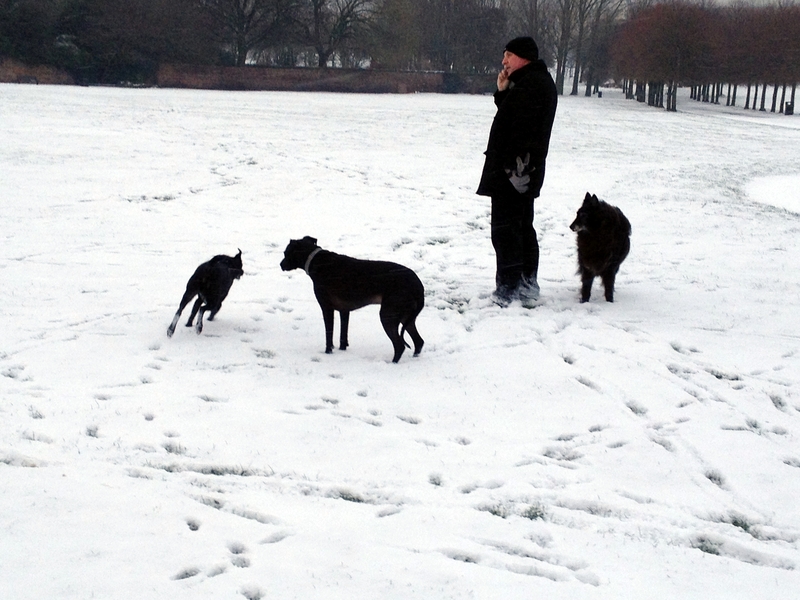 She is extremely fast and agile, so we think she may be a lab/whippet cross. 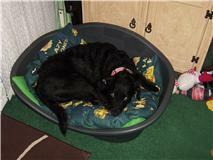 I have attached a picture of her on holiday at her best friends house (Ida, a black lab) in Anglesey. They adore each other and are partners in crime, racing around Idas farm and jumping in the fish pond to cool down! She is the most loving and adorable dog and my mum is so pleased to have her as part of her life. Hopefully we may come back and visit you soon with Cassie. He came to Animals In Need from the dog pound, destined to die if no one wanted him. Neo was neutered on Tuesday and all went well. 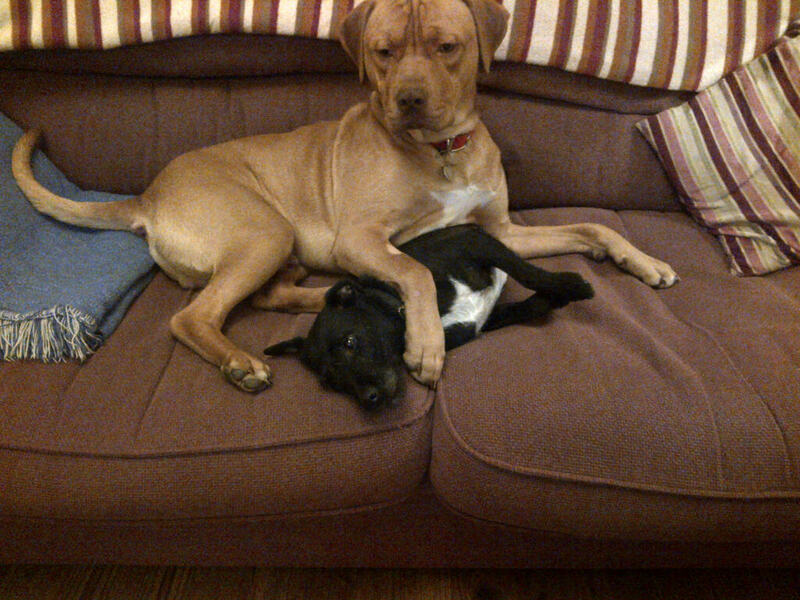 Our dog Darcy has taken to him a bit more now and they play rather than being wary of each other. She's a bit of an old grump but we are sure they will be good buddies eventually. 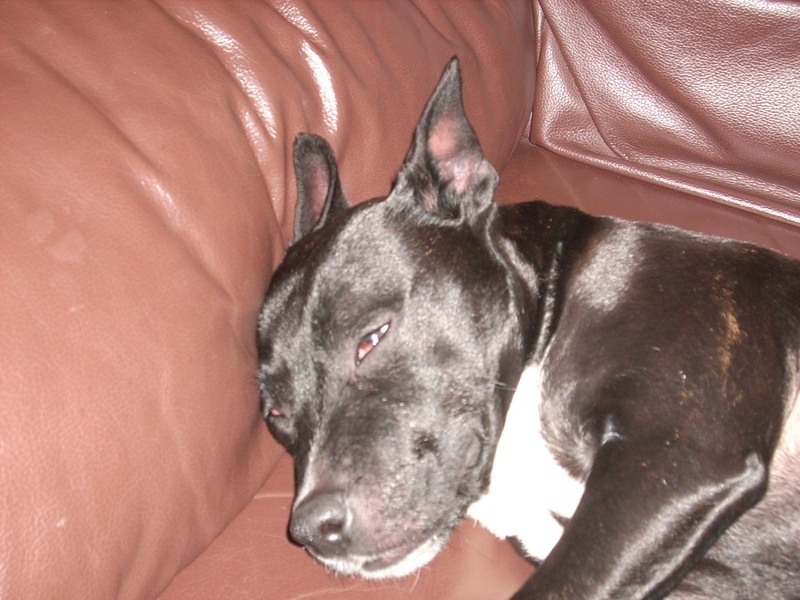 Neo loves his cuddles and although he loves his walks he loves to be settled on the sofa with you. 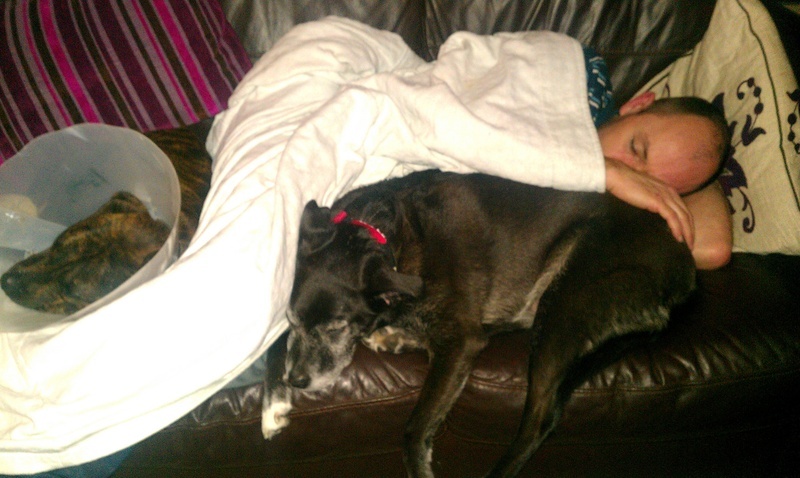 Two dogs and two humans on one sofa can be a tight squeeze! He's a bit of a chewer but we got a crate for him and he's quite happy going in it. At least we know he is safe in it whenever we are out. He loves the beach and took a fancy to a little girl dog last week ;). Darcy is obviously too old for him. All four of us are going to start canine classes once his stitches are out. We've taught him paw already and he's very gentle the way he lifts his paw up. We will keep you updated on how he's going. All the best. 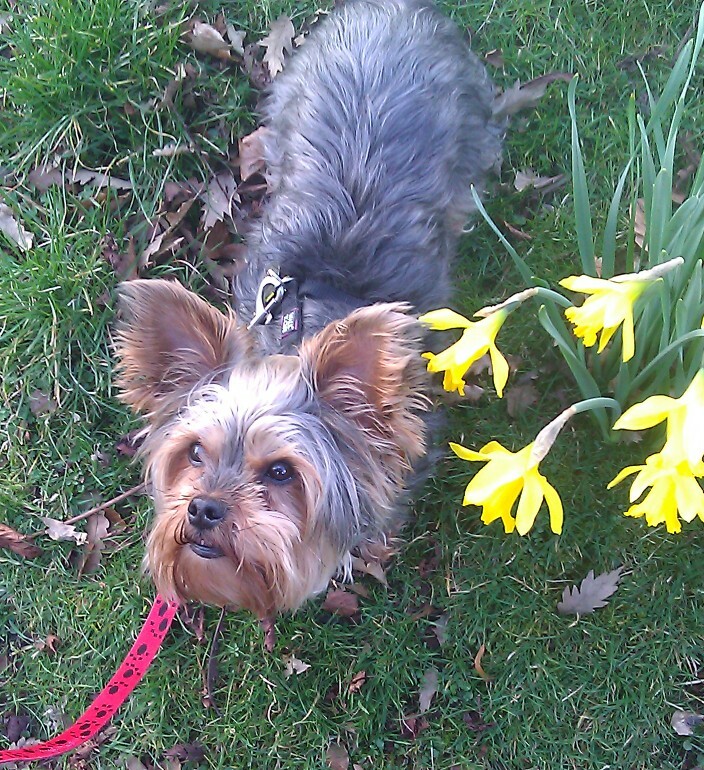 Dear Animals In Need, just wanted to give you an update on Molly our beautiful Yorkshire Terrier who we adopted in March 2011. We've attached a couple of pictures! Keep up the good work, you do an amazing job!!!! 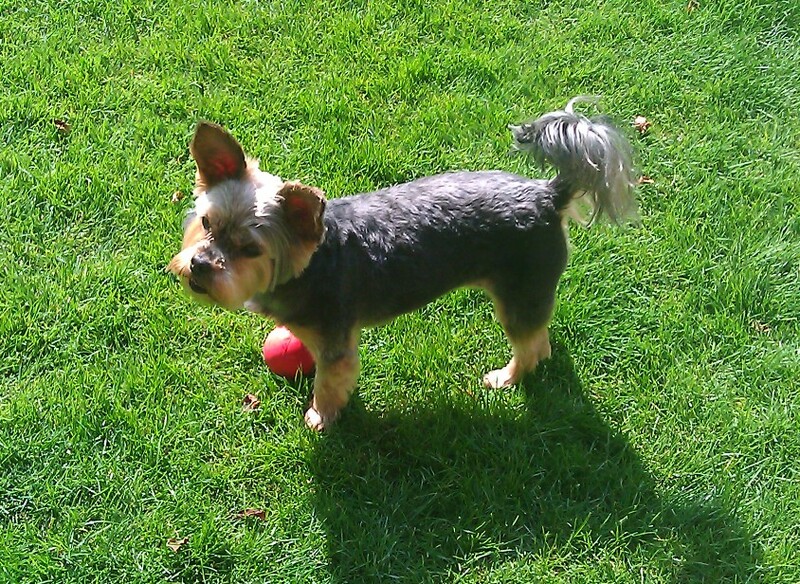 Molly is a well loved little dog and brings a lot of happiness to her owners John & Jenny. We send out our newsletter 4 times a year. 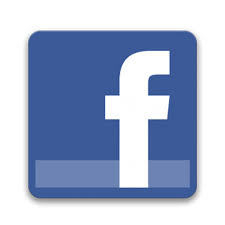 If you would like to be added to our supporters database, please give us a call. 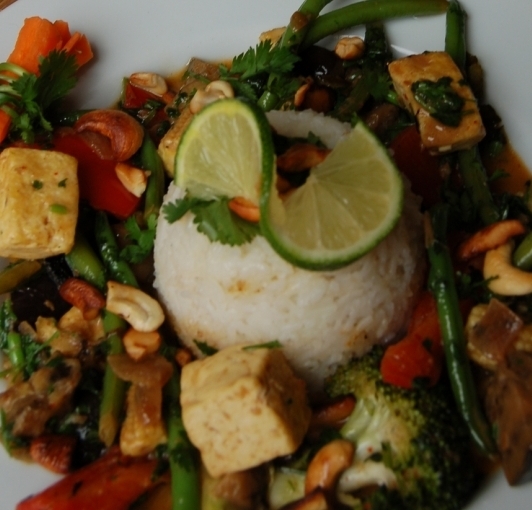 For great veggie and vegan recipe ideas all year round visit vegetarianrecipeclub and you will be spoilt for choice.